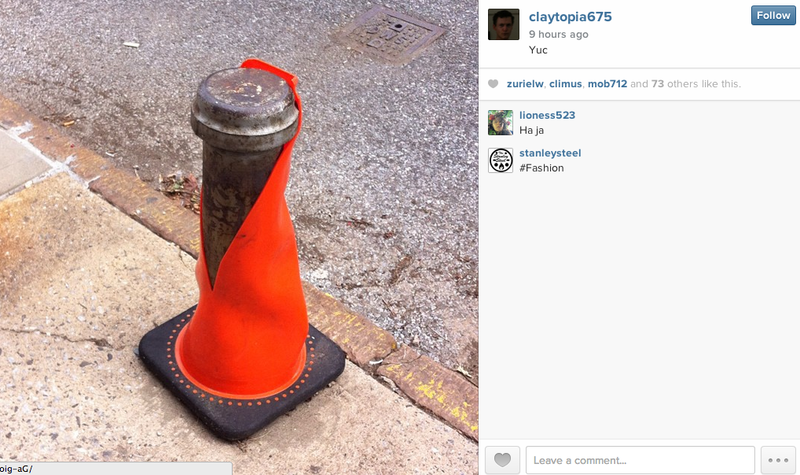 Clayton Schiff instagrams pretty regularly, providing new content every day. The images are particular in the way its shot and resembles a sort of sketchbook for his work. Looking at his Instagram, you can see the correlation between the humor in his photos and his work. 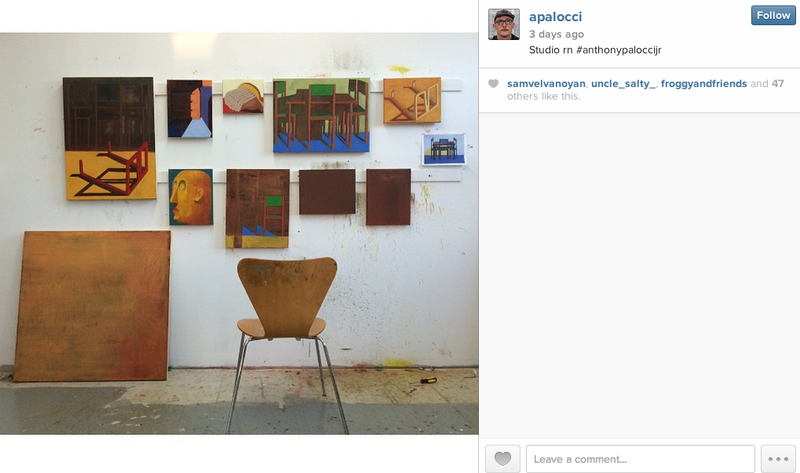 There’s a certain amount of grunge in Anthony Palocci’s instagram. It’s autobiographical in nature where he’s documenting 100 cigarette butts on the ground in one post and in the next, his new painting show. You get the same sense of energy from his paintings come out through his instagrams. 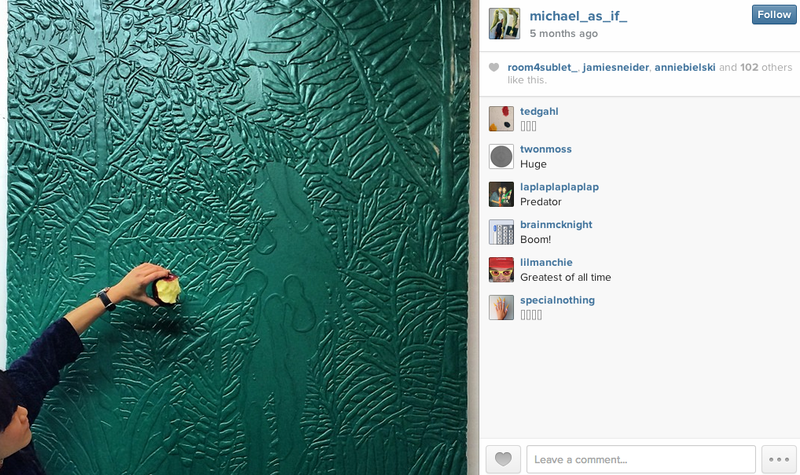 As expected in Michael Assif’s Instagram, there’s a lot of green painted objects, plastic-y goo spills, and references to city-nature. However, he doesn’t just limit himself to these themes. There are also some interesting insights of objects and/or juxtapositions that he sees on the street. 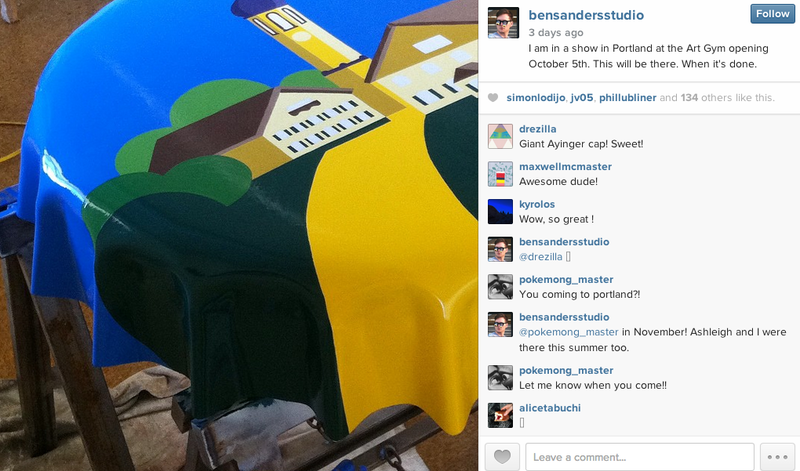 Ben Sanders’ instagram is filled with shots of his paintings as well as his studio. The photos are always interesting and dynamic and there’s a clear understanding of his work practice in his day to day life in LA. 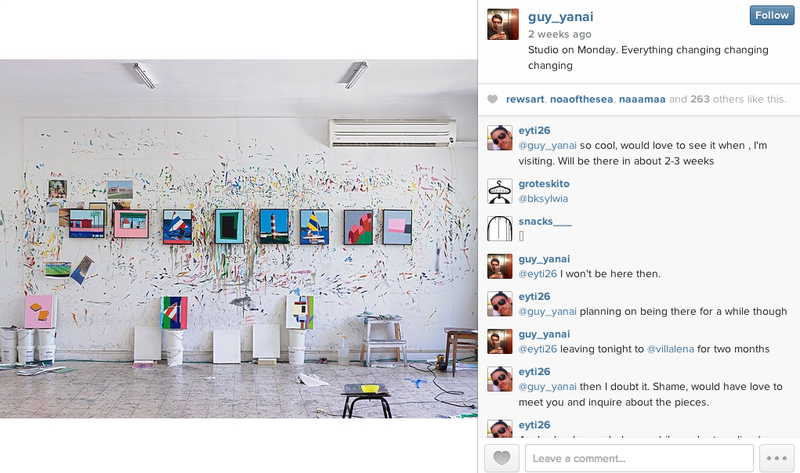 Guy Yanai’s instagram provides a lot of great studio images that make you envy his sun-drenched space. There’s a real sense of his studio life in real time as he updates every day. Never forgetting his roots, he pays homage to his painting “gods”, artists that he looks to and references.